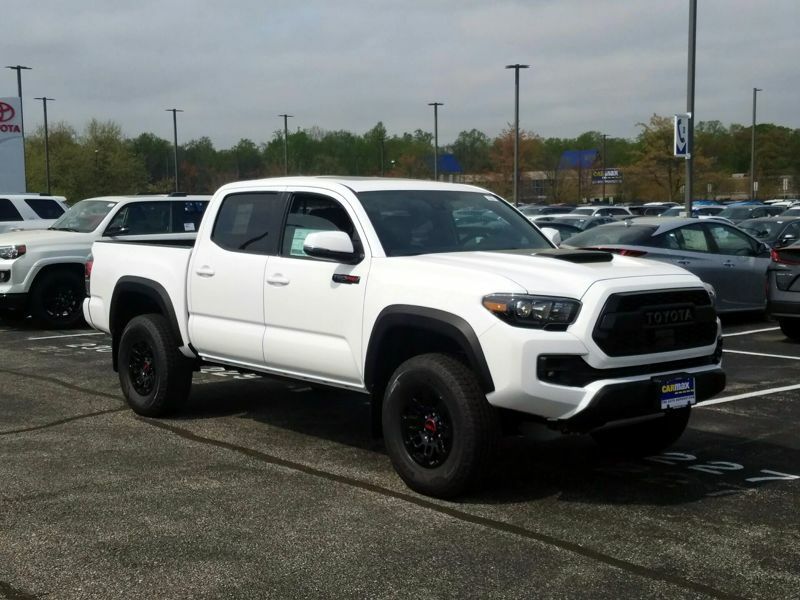 Transmission: Manual 6 Speed Color:White Interior Color: Black Average Vehicle Review: (0 reviews) 1- This is the only mid-size truck worth owning and has been rated as #1 for many, many years. This is a real value holder. Love the useless air-scoop! 2- The Sport-TRD Model is a great highway vehicle and works hard on our farm too. Does not have all the rock-hopper extras, for that you need the TRD Off-road version it has no scoop. 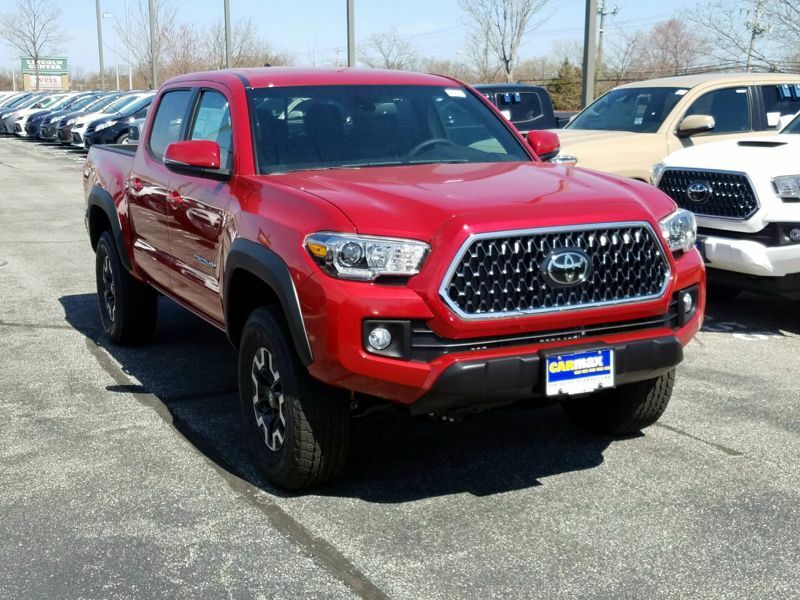 Transmission: Manual 6 Speed Color:Red Interior Color: Average Vehicle Review: (0 reviews) This is a great mid-sized truck and the new design started in 2005 has alot of room.I have the V-6 engine and get 20 mpg in everyday suburb driving and on a highway trip I can get 22 mpg.I have the 4 door extended cab with is great but if you have anyone over 6 years old and expect to take them along with you look for the crew cab.I have the pre-runner option with the TRD off-road package and this makes the truck feels like it is glued to the road and makes driving very enjoyable.The ride height is great but because this is not a full size driving around parking lots and our suburan jungle is very easy.The only drawback is that you can't get a full power seat and a multi-disc cd charger is only on a very few of these models.Otherwise all the typical goodies remote entry,power doors and windows,and nice air system can be had.If you think you want a big full size truck try this first and then drive a full size and you will see this is a much better everyday truck. Transmission: Manual 6 Speed Color:Red Interior Color: Average Vehicle Review: (0 reviews) I bought a 4WD, Reg. Cab., with the SR5 pkg. At first I was apprehensive of getting the 4cyl; but after having it for a couple of months I'm very satisfied with it's power. 160hp is enough for me. I don't have anything to tow, nor a need for a back seat. The Reg. Cab with the 4cyl is ample for me considering the price difference is several thousand dollars for extended cab with a V6. It seems to have enough power. (tested in the Rocky Mountains) I got 4WD because I take it snowboarding. I also wanted the SR5 pkg. It just looks nicer with the chrome bumper & grille, and also the color matched fenders. I like outdoor activities and my Tacoma is perfect for that. The bed rail system is awesome! There are limitless possibilities for loading your gear in the back with it. 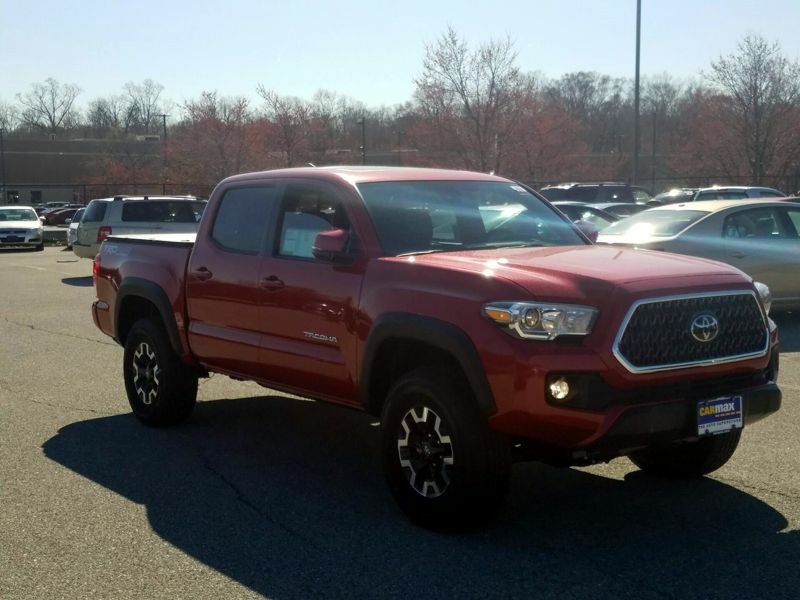 Overall, my Tacoma has met and exceeded my expectations. I think everyone should have one. 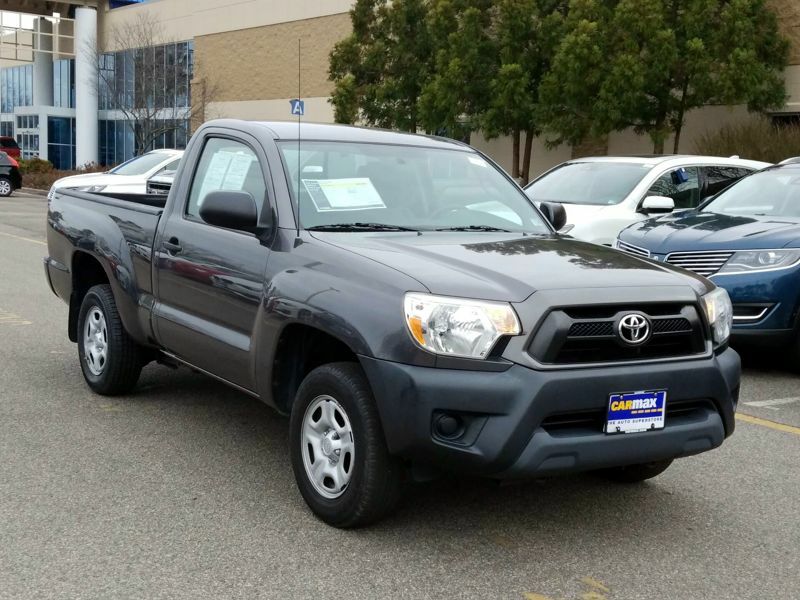 This is a great mid-sized truck and the new design started in 2005 has alot of room.I have the V-6 engine and get 20 mpg in everyday suburb driving and on a highway trip I can get 22 mpg.I have the 4 door extended cab with is great but if you have anyone over 6 years old and expect to take them along with you look for the crew cab.I have the pre-runner option with the TRD off-road package and this makes the truck feels like it is glued to the road and makes driving very enjoyable.The ride height is great but because this is not a full size driving around parking lots and our suburan jungle is very easy.The only drawback is that you can't get a full power seat and a multi-disc cd charger is only on a very few of these models.Otherwise all the typical goodies remote entry,power doors and windows,and nice air system can be had.If you think you want a big full size truck try this first and then drive a full size and you will see this is a much better everyday truck. I bought a 4WD, Reg. Cab., with the SR5 pkg. At first I was apprehensive of getting the 4cyl; but after having it for a couple of months I'm very satisfied with it's power. 160hp is enough for me. I don't have anything to tow, nor a need for a back seat. The Reg. 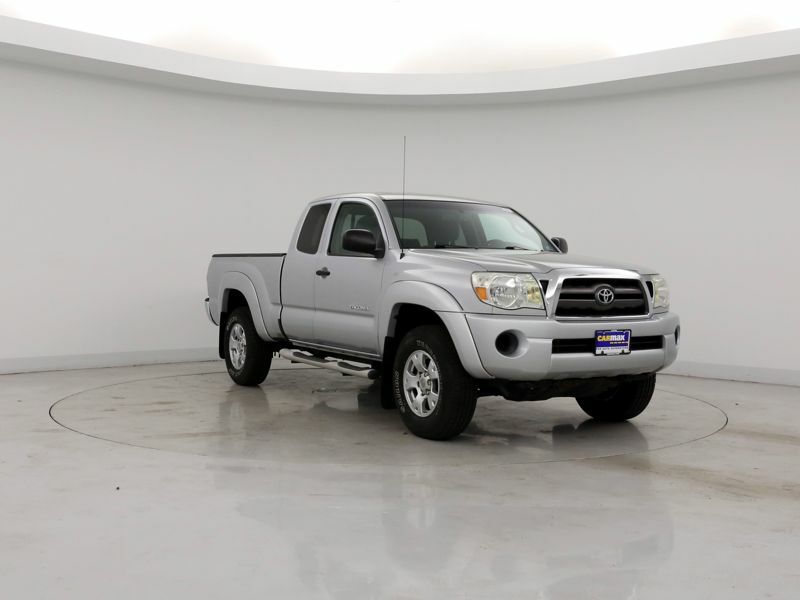 Cab with the 4cyl is ample for me considering the price difference is several thousand dollars for extended cab with a V6. It seems to have enough power. (tested in the Rocky Mountains) I got 4WD because I take it snowboarding. I also wanted the SR5 pkg. It just looks nicer with the chrome bumper & grille, and also the color matched fenders. I like outdoor activities and my Tacoma is perfect for that. The bed rail system is awesome! There are limitless possibilities for loading your gear in the back with it. 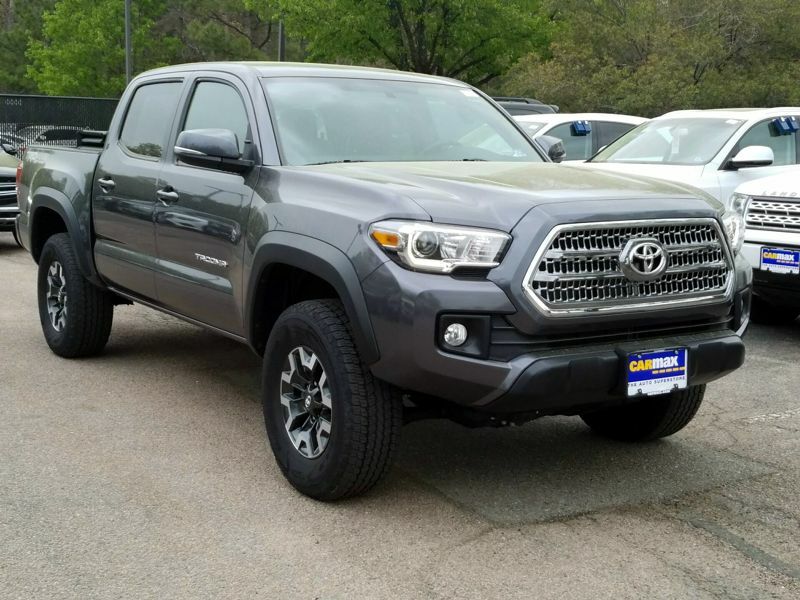 Overall, my Tacoma has met and exceeded my expectations. I think everyone should have one.